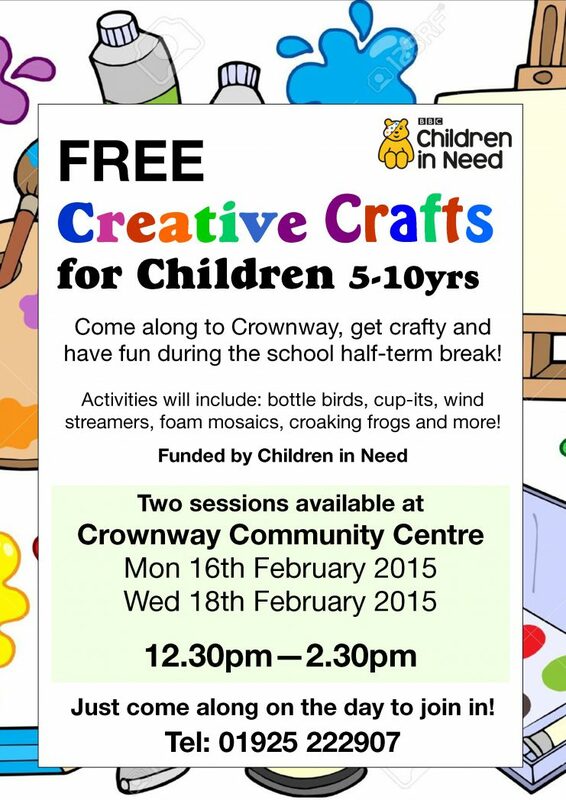 Free Half-Term Craft sessions for children at Crownway Community Centre starting soon in February. Come along, be creative and have fun. Aimed at 5-10 yrs, but acceptable for younger children who must be accompanied by a parent. Funded by Children in Need. Small Meeting Room Designed for meetings and functions for up to 10-15 people. Large Meeting Room & IT Suite Seats 30+ and is ideal for large formal meetings, workshops, etc. The Hall Capacity for 120 - a bright, airy welcoming room. Crownway Café A warm and welcoming café, supplying first-class buffets and meals at affordable prices. © 2019 Crownway Community Centre. All rights reserved.